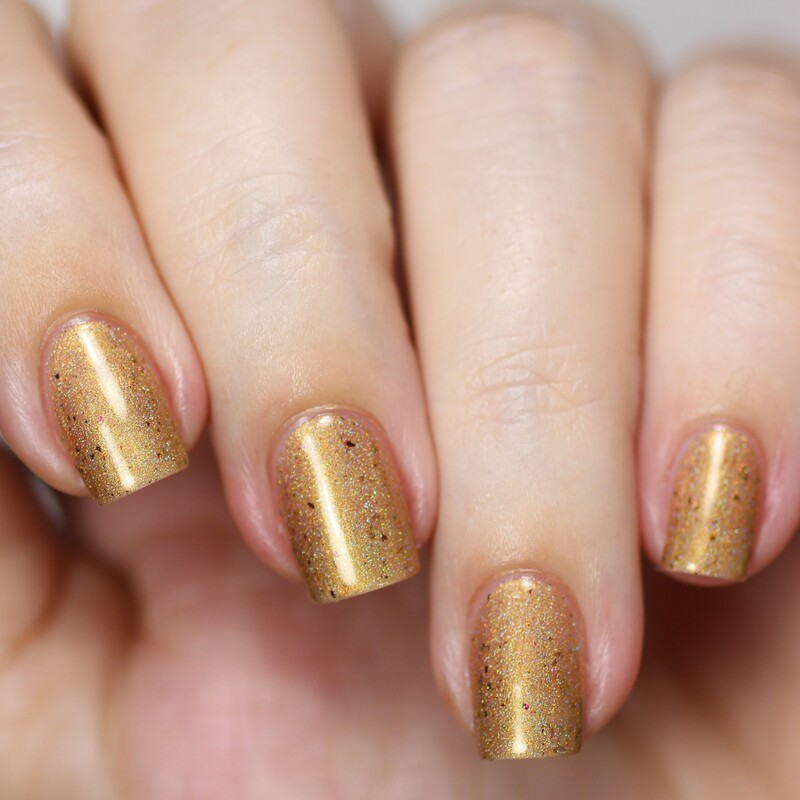 This polish is a warm golden color with linear Holo and brown/gold/green multichrome flakies. 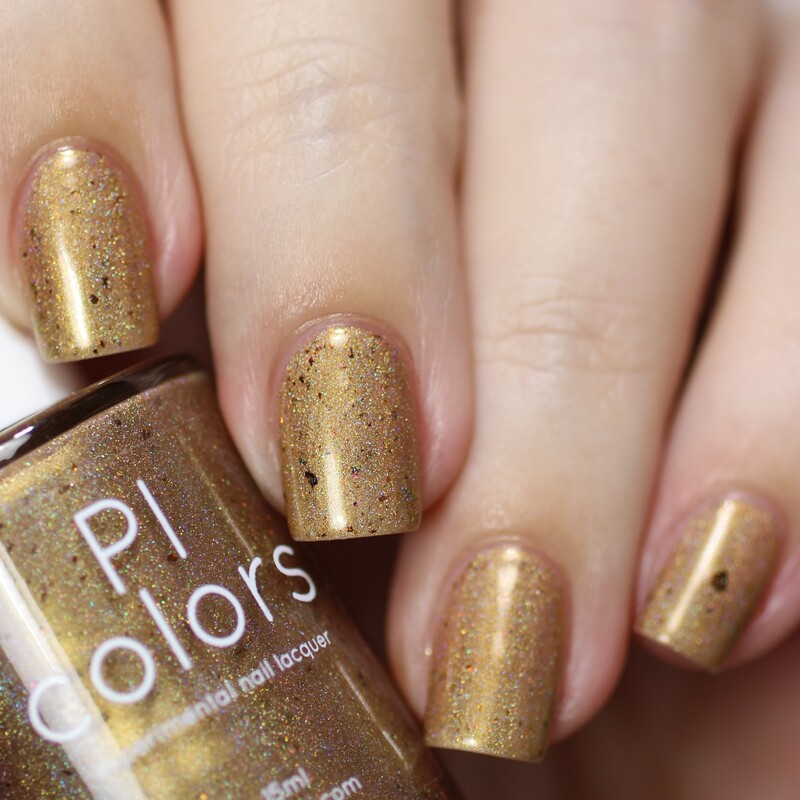 This is a limited edition polish, part of our holiday Fire&Ice Holiday Duo Collection. 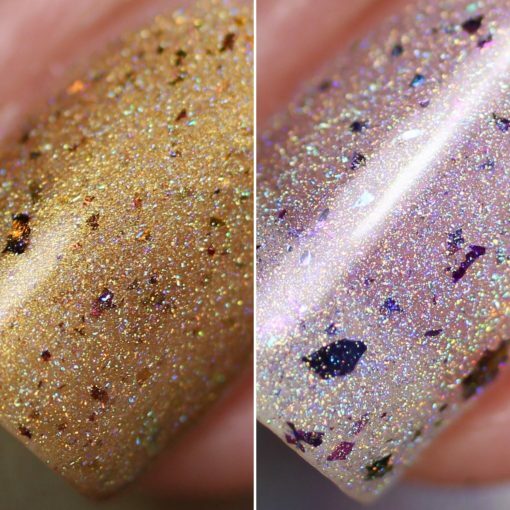 This is a limited edition polish.